Green Tech Heating & Cooling is an air conditioner company in Denver, CO that you are able to rely on for superior air conditioner services! Our company has been supplying air conditioning services to this area for several years, ensuring they receive fantastic cooling. If you are searching for heating services in addition to AC services, you are in luck! We offer both AC and heating services. Contact our technicians now at (720) 276-1403 in order to schedule an appointment for HVAC services. We are anxious to work with you and guarantee that your air conditioning is performing the best that it can. Air Conditioner Replacement and Installation Contact our contractors whenever you are in need of AC installation or replacement service. Air Conditioning Maintenance Want to make sure your air conditioner is in the best shape? Get AC upkeep through our heating and cooling company. Air Duct Sealing, Repair & Installation Our duct services include repair, installation, and sealing services. Central Air Conditioning Repair If you have a central air conditioner unit and need repair service, just call us. Emergency Air Conditioner Repair If you are ever in a situation where you need air conditioner repairs now, contact Green Tech Heating & Cooling for AC emergency repair service. It can get very cold during the winter, so it’s crucial that if your heater is acting up, you get expert repair service. To receive exceptional heating services for your heater, just contact Green Tech Heating & Cooling. 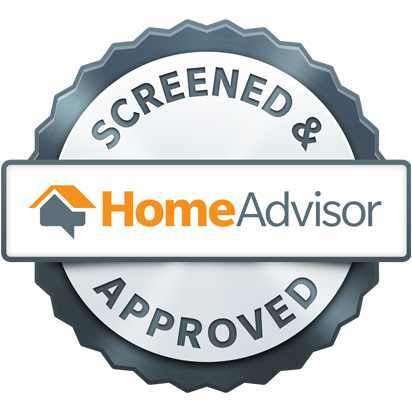 Regardless if you own a furnace or boiler, our contractors are able to fix it. There will be situations when repairs just won’t fix it, in which case we can provide heating replacement service. Get in contact with our heating and air conditioner company in Denver, CO at (720) 276-1403 if you require heating services! Boiler Repair & Replacement Do you require repair service for your boiler or maybe a replacement? Get in contact with our contractors now! Central Heating Repair Schedule an appointment for your central heating if it needs repair service. Electric Furnace Repair & Replacement Exceptional electric furnace repair or replacement can be yours at an affordable price when you get in touch with our technicians today! Electric Heat System Repair Obtain reputable electric heat unit repair service by contacting us today! Gas Furnace Repair and Replacement Get in touch with our heating and cooling company when you should need repair service or replacement service for your gas furnace. Heating Maintenance Heating upkeep is a great preventative solution in order to extend the life of your heating unit. We not only offer heating and cooling services for houses, we also provide air conditioning and heating services for commercial buildings. 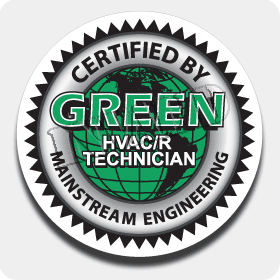 Whether you require repairs for your boiler or for your air conditioning, Green Tech Heating & Cooling is the commercial heating and air conditioner company in Denver, CO you are able to depend on. Loss of productivity, as well as making sure your staff is comfortable is our greatest concern, so contact us at (720) 276-1403 to receive the heating and cooling services that you need. Commercial Air Conditioner Repair When you need to have your commercial air conditioner repaired, please contact our HVAC company! Commercial Boiler, AC & Furnace Service With the assistance of our commercial HVAC contractors, we are able to clean out and maintain your air conditioner and heating systems to guarantee they are in great shape. Commercial Furnace Repair For professional commercial furnace repairs, you can believe that we offer the very best service. Commercial Rooftop HVAC Repair Get your commercial rooftop HVAC system fixed immediately when you contact us! Each of the heating and air conditioning components in your heating system or air conditioner requires them all to work in conjunction in order to receive heat or cooling. Poor installation and lack of maintenance can be the culprits for why components stop working in your air conditioning or heating system. At Green Tech Heating & Cooling our contractors are able to either repair the component or we can totally replace it if it’s inoperative. Needing to make an appointment with our heating and air conditioner company in Denver, CO for HVAC parts repair or replacement service? Contact Green Tech Heating & Cooling at (720) 276-1403 to speak with one of our HVAC technicians. AC & Heater Capacitors Replacement If our technicians locate any problems with your air conditioner or heater capacitors, our technicians will replace them with a new one. HVAC Blower Repair & Replacement Our heating and cooling technicians will figure out if you need your AC or heater blower repaired or replaced by examining it. HVAC Circuit Board Replacement Since the circuit board is like the brain of a heating or cooling unit, feel free to call our contractors for replacement service when yours is malfunctioning. HVAC Relay Replacement Have the heating or cooling relay replaced now when you contact our expert heating and air conditioning technicians. HVAC Thermostat Repair, Replace & Upgrade We are able to replace, repair, or provide you with a thermostat upgrade if you call our company today!